I got Lasek surgery here. The surgery was painless and perfectly executed. My vision is now at least as good as it was with contacts prior to surgery, 20/20. I am very satisfied with the results of the operation and the price of the procedure. Recovery was as expected, medications were thoroughly explained and delivered to me through Capsule with no pharmacy visits for me (huge benefit), and communication was made easy with WhatsApp. 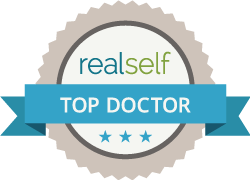 Dr. Chynn is very honest and ensures that his patients are thoroughly prepared and understand their procedure and the recovery process. He utilizes his business degree to provide great deals to the patient and create a culture of constant improvement and feedback in the office. Potential patients should plan to spend a few hours in the office when you visit, because there is usually some wait time as the doctors take time to discuss thoroughly with each patient. My one suggestion for Dr. Chynn is to continue to work on how he delivers feedback to his fellows and office employees, perhaps privately or framed positively so the patient feels comfortable observing that interaction. That being said, I did see Doctor/employee relationships improve over the course of my visits to the office, so I do see that Dr. Chynn himself is receptive to feedback. Overall great experience and would recommend to anyone considering laser eye surgery!